Changing and making alterations to your home is a big decision for most people. This is why choosing the right builder to carry out any work on your home is very important. It is important that you find a building company who have the knowledge and skills necessary to carry out this work. You want to be able to trust your builders and have a good working relationship with them, so that you have the peace of mind you are getting exactly what you require. At RL Building & Maintenance Services we have plenty of experience in building various types of extensions, such as kitchen extensions and two storey extensions. Our team have a great deal of experience and building skills which is why we are able to take on all general building projects. 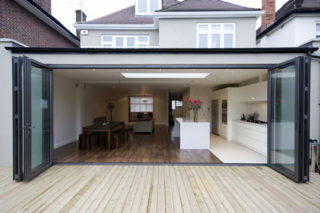 We are proud to be a member of the Federation of Master Builders and all of our work comes fully insured and guaranteed We can offer and advise on a range of different options and costs when designing your extension, so that we are able to build the extension that meets your needs, and within your budget.